This badge was issued to CEO Teissl Günther / SourceWeb AG on 17 Feb 2016. 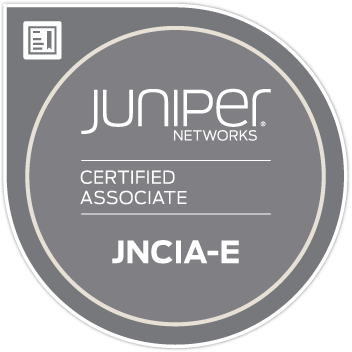 The JNCIA-E credential validates a basic understanding of Internet technology and related platform configuration and troubleshooting skills. A certification holder at this level has demonstrated entry-level to intermediate knowledge of the E Series platforms.